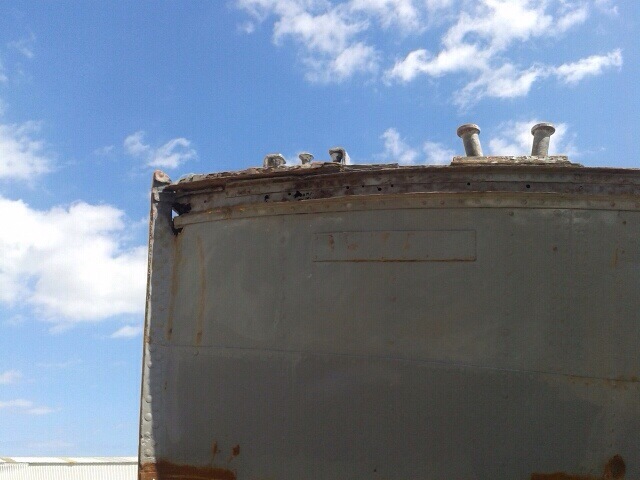 Progress this week has involved blasting the last bits of the hull, under the engine room and the striker rails. 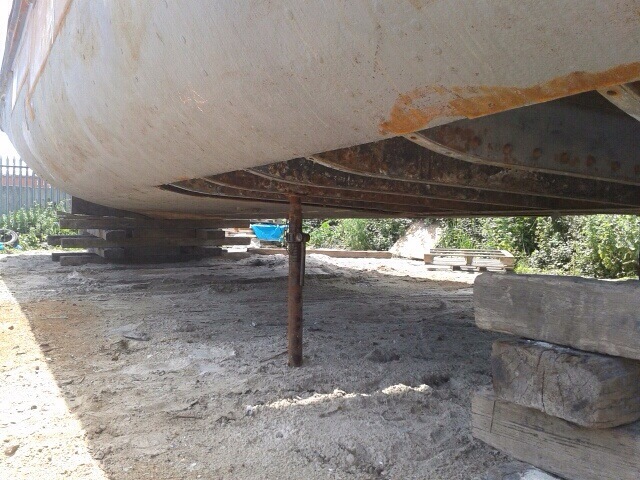 First the supports were moved back on to the newly welded stern to allow access. 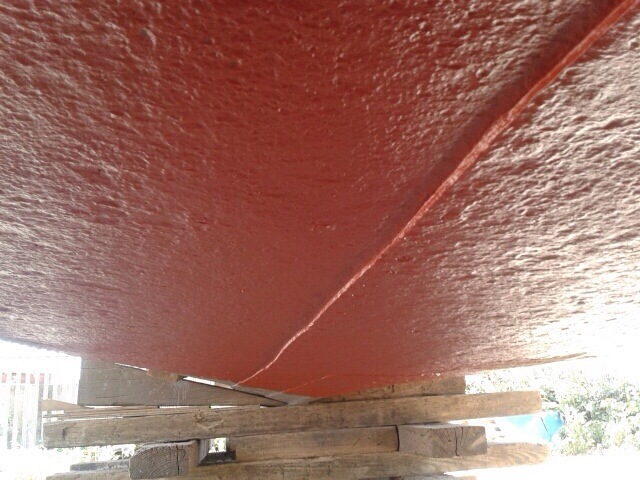 Then it was blasted and painted. The surface does look a bit pitted. Next step will be to thickness test it to work out exactly the condition. It was made in 5mm and the deal is that anything under 3mm requires attention. 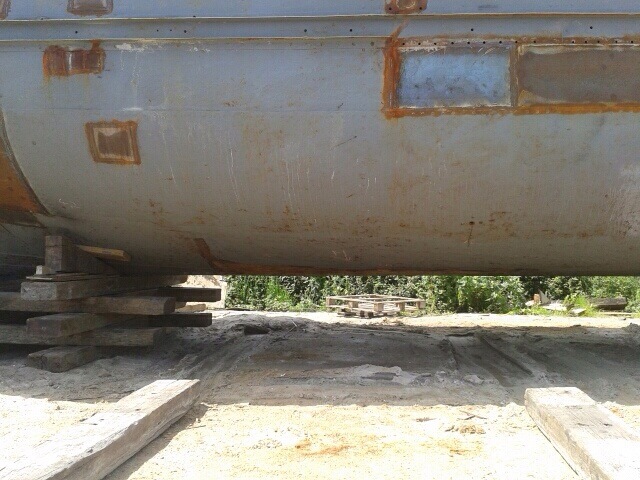 The tricky thing is that this is under the engine room, and indeed under the engine, so it won’t be as easy to access the rivets and drop the plates out if they need replacing. This means a doubler on this area might be the most workable option… Over to Toby and team to work out this one! The striker rails are also ready for work. 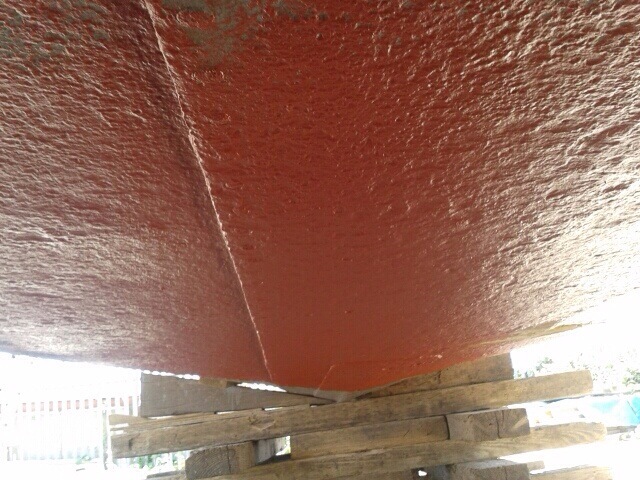 While inside the engine room the plates that make up the floor have been cleaned. There is about 80 years of petrol-type funk so the whole thing might need a bit of a steam clean too…. This stage will be both tricky and time consuming I fear! This entry was posted in Uncategorized on June 22, 2014 by hellyboo.